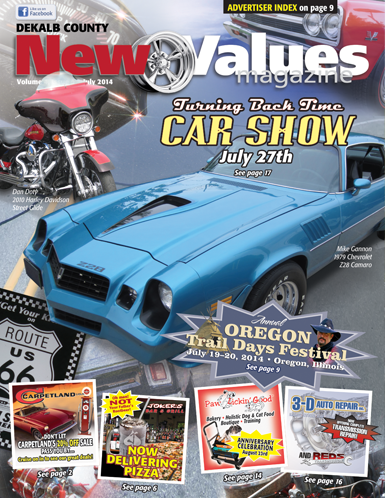 July 2014 New Values Magazine arrives! Summer is here!! And we have 32 pages of sizzlin’ summer values and other great information like puzzles and community announcements. Check out the July issue of New Values Magazine, DeKalb County’s leading monthly coupon magazine! Look for it in your mailbox this week! Also be sure to check out Page 4 and learn more about Oregon Trail Days, July 19th & 20th.